We (Bridge club Maldives) had our second GI on 9th February with BC Myanmar and the theme for this GI was ‘Famous landmarks’. Our Liaison officer and chaperon of 2010 participated with us on that day. Nine JAs from Maldives took part in this conference. 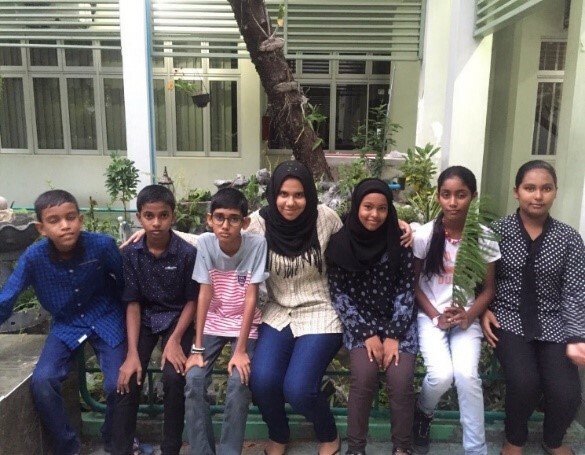 First, the participants from Myanmar introduced themselves to the Maldivian participants and explained the famous and historical landmarks in their country. After that, the Maldivian participants introduced themselves to the to Myanmar participants and explained most famous landmarks in our country to them.We talked about the famous tourist attractions in Maldives Like; Medhuziyarai, Hukurumiskiy, Ali Rasgefaanu ziyaraiy, Victory monument, Tsunami minument, Republic square ,Utheemu Ganduvaru,Theemuge and muliyaage. Myanmar introduces places like Shwe Dagon Pagoda, Mandalay Moat, Bagan, Rih Lake, Beaches,Pagoda and Inle Lake. Myanmar is a country rich in history, culture, custom and tradition. It also has a number of tourist attractions, like in Maldives.The most famous landmark in Myanmar is Shwe Dagon Pagoda situated in Yangon which was built between the 6th and 10th centuries. Most famous landmark and one of the famous tourist attraction in Maldives is Islamic center ( Mosque) opened in November 1984 . It was very interesting to learn about the famous landmarks of two different countries and helped to enrich our knowledge on the back ground of these landmarks. The rich cultures seen in the places prove us about the hard work of the people in both the countries.There were some technical difficulties before and during the conference like our first conference.We hope that our last conferences will go better.